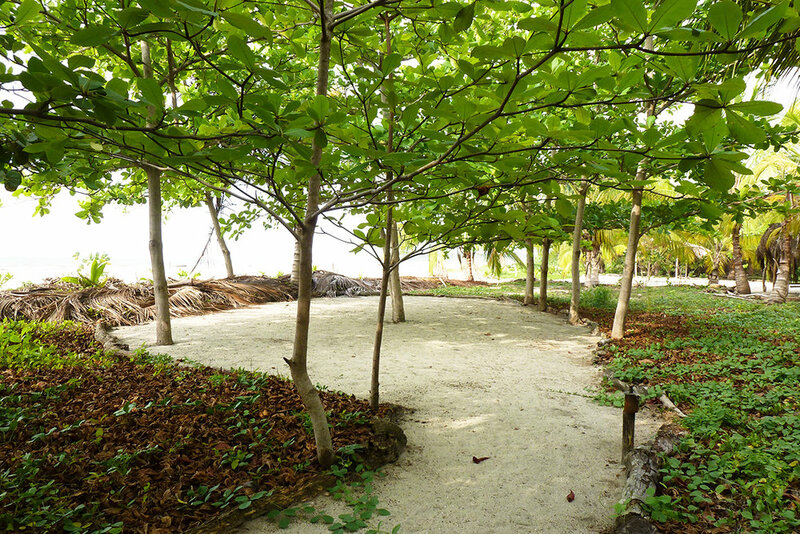 Our world class campground is located in an idyllic space directly on the seashore, under the shade of an almond forest. Campsites are serviced with full facilities of multiple showers and toilets. The nightly rate offers the same meal inclusions as the rooms. Please note, campers must bring their own equipment and that cooking and campfires are not permitted – there are bonfires at the bar for your enjoyment! Campers are responsible for bringing all of their own equipment: tent, towels, sheets ... etc to taste. Our Camping rate is the most economical and provides our guests also the same menu (breakfast, lunch and dinner)and privileges as all other room types; with the exception of maid service. Camping equipment can be rented from Koralia for an additional cost of 35,700 COP (per person per night). The rental includes tent, mattress, sheets, cover and towel.